CBS has now announced that Supernatural is renewed for one more season at least, season 9. I do not know if I should laugh or cry…!!? The last 2 seasons of SPN have been painful to watch with exceptions for some highlight episodes. However, I’m having trouble picturing a world without Supernatural. 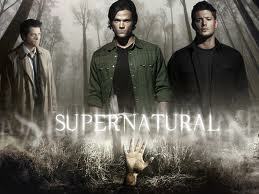 Sam and Dean are always suppose to be there, hunting ghost for us. On the other hand, I feel sorry for them. Another season means that they will not end up happy this season and the question is if they ever will be happy. I think they do deserve a happy ending after everything they been through! This entry was posted in Tv series and tagged Castiel, Dean Winchester, Sam Winchester, SPN, supernatural, Supernatural season 9.